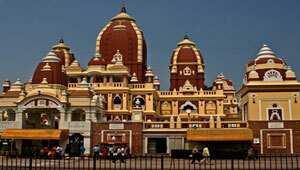 Popularly Known as Birla Mandir, it’s a large Hindu Temple built in Orissa style in 1938, by the renowned Birla family. People of all faiths can worship at this temple. 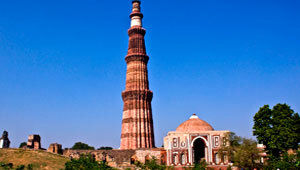 Qutub Minar is an excellent example of Afghan Architecture . The Minar is 72.5mts high victory tower, the construction of which began in the final year of twelth century by Qutubuddin Aibak and was later completed by his successor. It has been given World Heritage Site status. The simple square platform of black marble marks the place where the father of the Nation, Mahatama Gandhi was cremated. 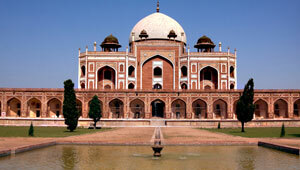 Built by Humayun’s widow, Queen Haji Begum in the 16th centuary, it is supposed to be the prototype of the Taj Mahal at Agra. Feroz Shah Kotla, Indira Gandhi Stadium, Shakti Sthal, Purana Qila etc. • All applicable transport taxes.